Okay everybody, I was going to do this separately, but now I know that I am never going to get around to it if I do. Instead, I am going to just have to do this all at once, in one post. Lately, we’ve had a string of good luck with our thrifting endeavours. We always love finding new dolls, and fixing them up, but within the past couple of months, we just seem to be finding more and more dolls. 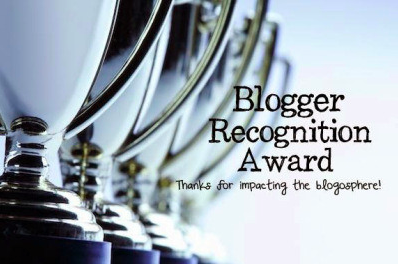 Every time we found another girl, I would vow to introduce her here on the blog. Then we would get busy, and a week later, we would find someone else. So here we are eight weeks later, and we decided that we are just going to reveal all the Hearts4Hearts girls in one go. 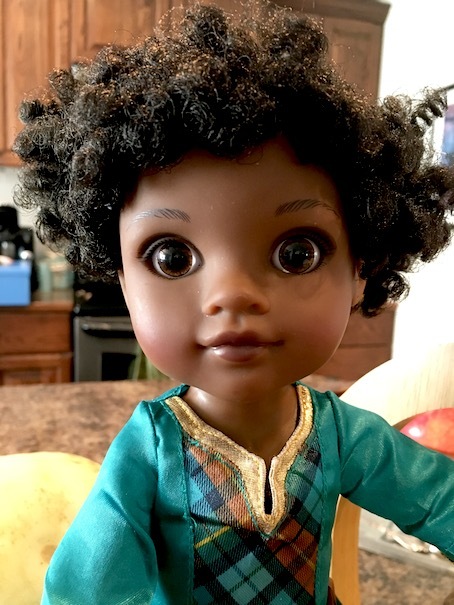 We had already thrifted one of these dolls a while back, Leena Nahji, but as soon as we found her, we knew that we wanted to collect more. 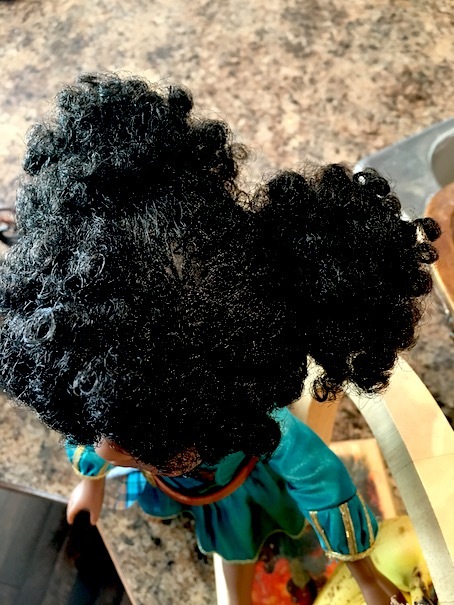 We really love the quality of their hair, and the fact that they work so well as little sisters to the bigger dolls. First up is Lilian. 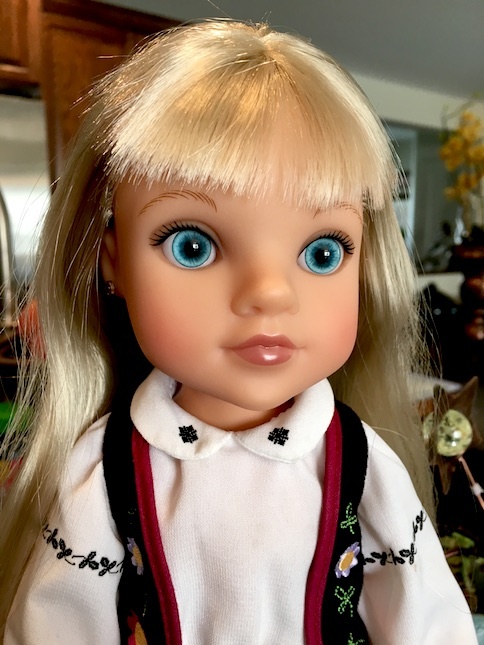 This doll is from Belarus, a country near Russia. She came with her original outfit along with her shoes which was a plus since most of the dolls that we thrift come barefoot. This is possibly why we buy so many shoes on eBay, but more on that later. Lilian has white blonde hair, and the most striking blue eyes that you ever did see. We rescued her from a consignment store for $8. She is in perfect condition. The only pieces missing from her original outfit are the ties to her vest, and a head band. Her hair is silky soft and straight. 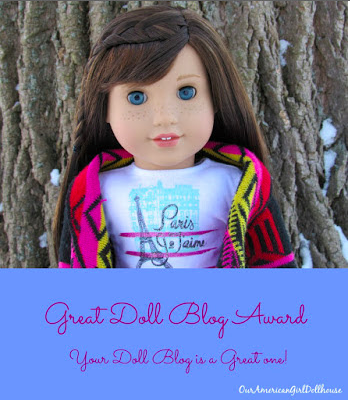 I highly recommend these dolls for their hair and eyes as well as for their sweet faces. Next up is Dell. She lives in Kentucky, USA. The first thing that we noticed about this doll is the teal colour of her eyes. So beautiful! She didn’t have any clothes when we found her for $2 so I promptly sewed her up a pair of pretty capri pants to match her eyes. Our last thrifty find was Rahel. She is my favourite of all. Rahel is from Ethiopia. She also came without clothes, but we only paid $3 for her, so we didn’t mind. Instead, we got to thinking. Perhaps there was another doll line whose clothing might fit these dolls. 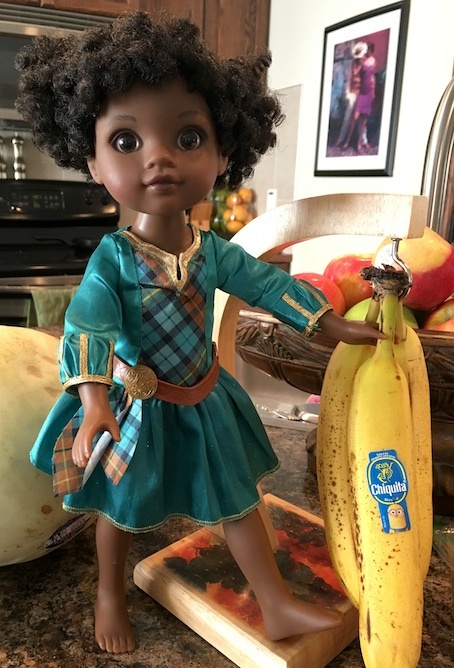 We had found a Merida toddler doll a while back, so we decided to try her dress on Rahel. The dress fit perfectly! We also had a toddler Cinderella, but her dress was off the shoulder style, so it didn’t fit as well. Merida’s dress does the trick for now though. Rahel’s face mold is quite similar to our Leena Nahji, but her skin colouring is a lot darker. We think that Rahel is so cute! She came with her hair in these cute little pom pom buns. We love her! All of the Hearts 4 Hearts girls are staying over in Leena’s room right now. I am sure that they will all make fast friends. I often have to be reminded that not every doll in the house needs their own room. At the rate that we are going, my husband is surely going to kill me. LOL! I hope that you enjoyed! Stay tuned as we have so much more going on behind the scenes than we usually let on. Now to just to get it all organized. Back to school is coming up fast as well, so we are in panic mode for that too. This summer seems like it just flew right by! Next > BACK TO SCHOOL IS SEW DOLLY! Great finds! I love Tipi from Laos, but missed her in the first incarnation. WOW! I love finding dolls at thrift stores! I can’t believe you found so many H4H dolls! We have 5 of the dolls. Most recently we got Rahel – she is so pretty. WE already had Dell, Mosi, Nahji and Zelia. 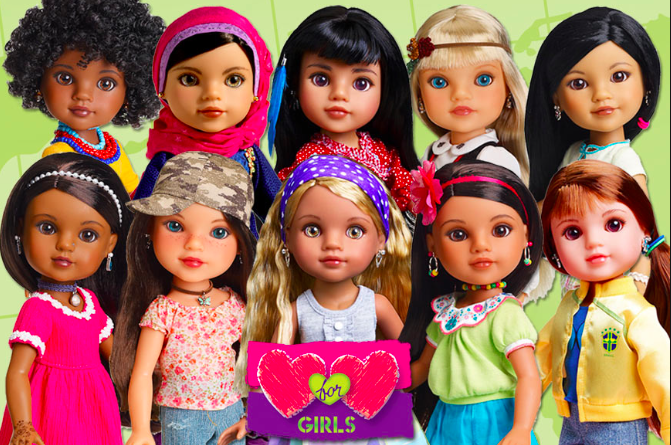 They are the prettiest dolls. I just love them. 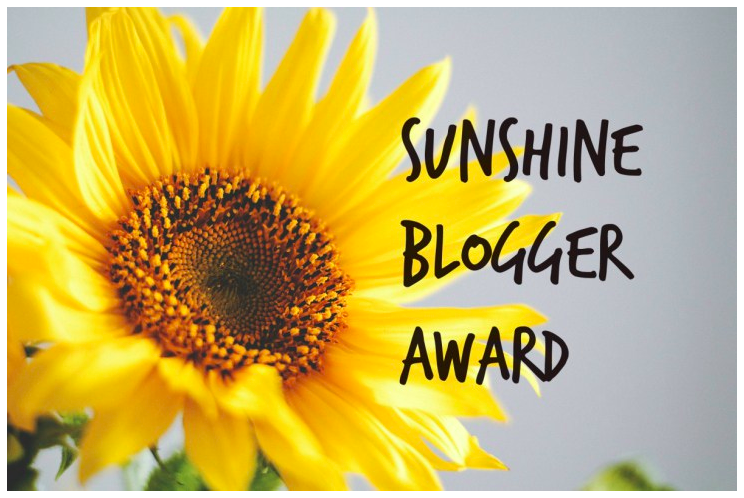 Congratulations on such great finds! So cute! Rahel’s face is so sweet! Great finds! I haven’t really been aware of the Hearts4Hearts girls, but since this post I am in awe! They would make much better little sisters than WellieWishers, I think.